Where are my movies? All My Movies knows the answer! Where are my movies? This program knows the answer! All My Movies 3.3 is a nifty utility for cataloguing one's movie collection. It supports all formats, new ones - DVD, Video CD, AVI and MPEG files, and old ones as well - VHS tapes, for example. The program helps easily track films - which movies are loaned, which ones are borrowed, etc. Most importantly, the program is specifically designed for DVDs and works fully automatically with all digital carriers. Basically, all a user has to do is to insert a DVD or scan a hard-drive. The program will extract all movie information - title, director, actors, description, genre, languages, subtitles, etc. If absent, this information can be imported from online movie databases with one mouse click or entered manually. The best thing about All My Movies is how easy it is to use. Having a tree-like database structure, program owner can quickly sort movies by genre, actor or director. Another great perk is an option to capture movie screens for DVDs and AVI files and attach them to the database. User comments can be added too. True movie fans with thousands of titles in their collection are certain to like the fact that movie data stored with All My Movies 3.3 can be exported to HTML, MS Excel or plain text files. In addition, the program comes with password protection options to prevent unauthorized access, and a straightforward loan manager. Another advantage is that the program support third-party plug-ins, including database import from other popular movie cataloguing applications. The hot new feature of All My Movies v3.3 is ability to lookup all movie information by barcode from DVD's back cover and German online movie database support for import movie details in German. All My Movies 3.3 is distributed electronically over the Internet; free demo version is available at https://www.bolidesoft.com/ for evaluation. The price of a single copy is 29.95 US Dollars. 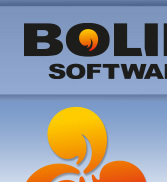 Bolide Software is an independent software developing company known for its line of multimedia utilities. The company produced two media cataloguing applications - All My Photos and All My Movies.